Shop online for over 300 in stock diecast model cars at discounts up to 63%. 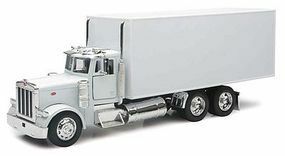 Cars / Trucks / Vehicles is the most popular of the 3 in stock diecast model cars categories, then Airplanes / Aircraft, and Space. Herpa Models is ranked #1 out of 27 in stock diecast model cars manufacturers, followed by New Ray Toys, and Dragon Armor Diecast. This is the 1/72 Scale Boeing X-37B "Glide Test" Orbital Test Vehicle from the Space Collection Series by Dragon Wings. Suitable for Ages 14 & Older. 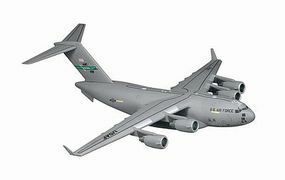 This is the 1/400 scale C-17 62nd Airlift Wing Diecast Model from Dragon Wings. This is the 1/60 Scale Boeing CH-47 Chinock Die Cast Model from New Ray. Suitable for Ages 8 & Older. This is the 1/400 Scale KC-135D 117th ARS Kansas ANG from Dragon Wings. This is a B-17J Liberty Belle Die Cast Collectible by Model Power. Suitable for Ages 14 & Older. This is the 1/200 scale Avro Vulcan B.2 617sqdn Diecast Model from Dragon Wings. This is the 1/24 scale 1948 Ford F1 Pickup (Red) Diecast Model from Maisto. This is the New Ray 1/72 scale Agusta EH 101 Canada Die Cast Model Suitable for Ages 8 & Older.